ALL SHOWS OF “GREASE” NOW SOLD OUT – Come see us in August for “A Chorus Line”!! 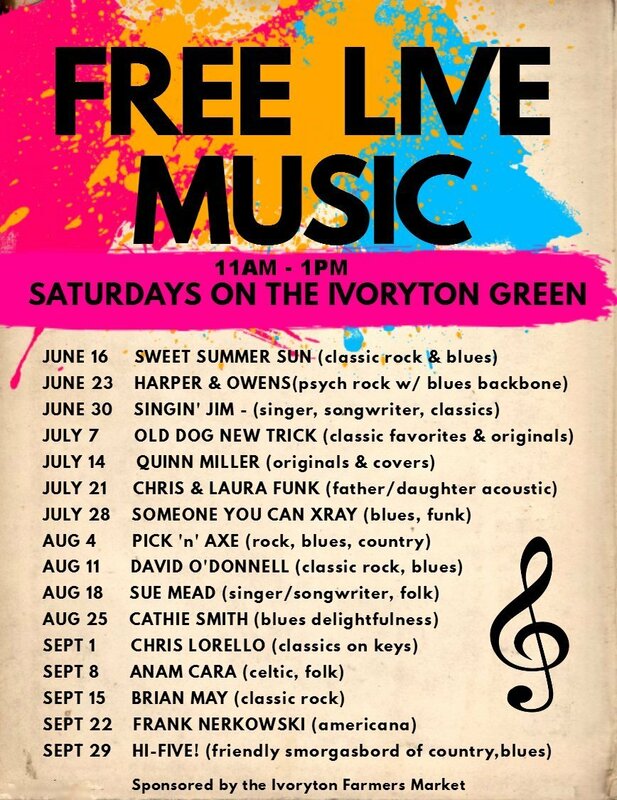 – The Playhouse is ROCKIN’ this summer!!! 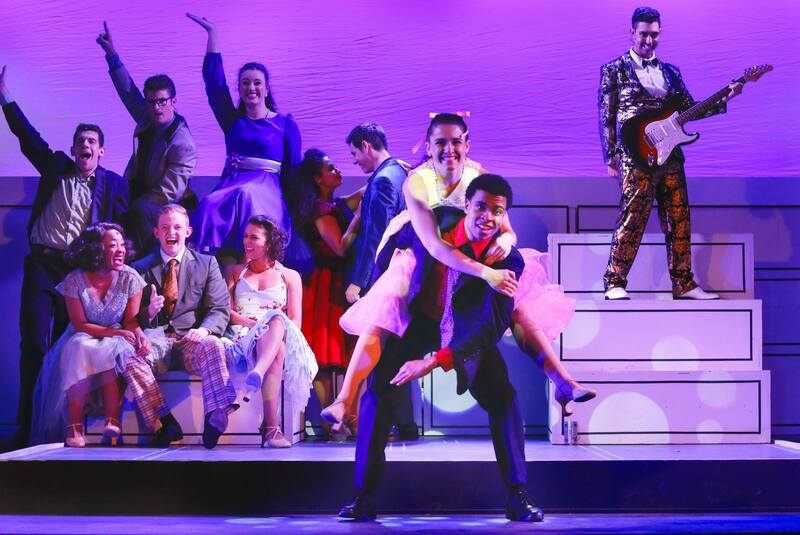 Now on Stage….GREASE! 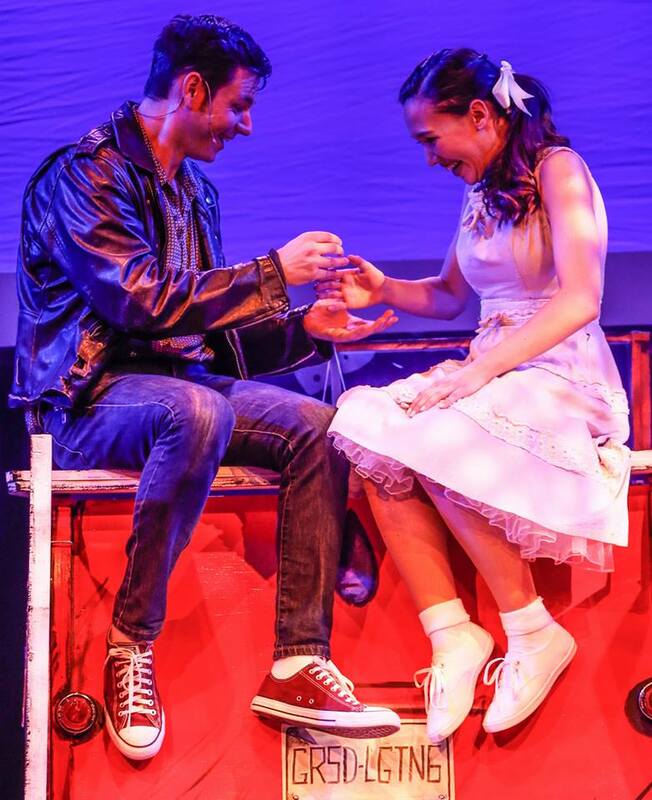 Ivoryton – Dust off your leather jackets, pull on your bobby-socks and take a trip to a simpler time as Danny and Sandy fall in love all over again at the Ivoryton Playhouse. 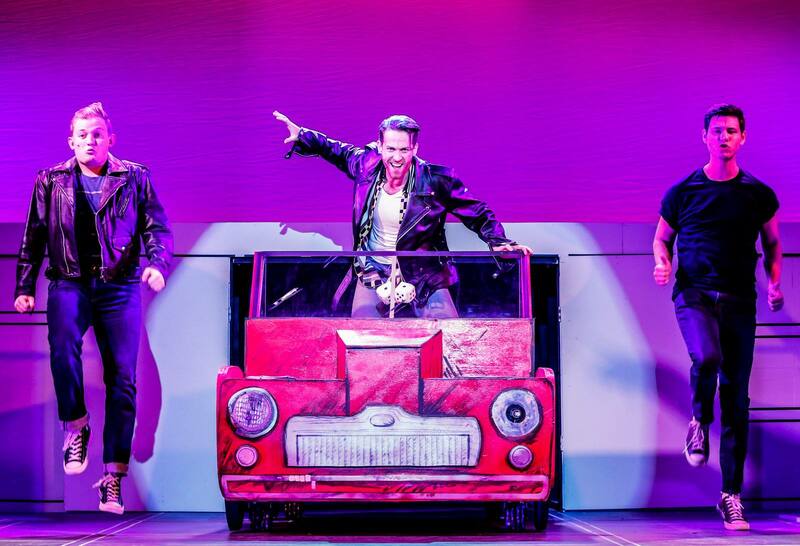 Opening on July 5th and running through July 29th, GREASE, BY Jim Jacobs and Warren Casey, features all the unforgettable songs from the hit movie including “You’re The One That I Want”, “Grease Is The Word”, “Summer Nights”, “Hopelessly Devoted To You”, “Greased Lightnin’” and many more. GREASE opened Off-Broadway at the Eden Theatre on February 14, 1972 but was deemed eligible for the 1972 Tony Awards, and received seven Tony Award nominations The 1994 revival also garnered Tony nominations and the show went on to a successful national tour, featuring our own Micky Dolenz as Vince Fontaine. The movie that we all know and love opened 40 years ago and it is a testament to the music and the iconic characters that GREASE is still the word today. The best part of this quintessentially American high school story (aside from the music, of course) is what Danny, Sandy, Rizzo, Kenickie, Frenchy and the rest of the Rydell High gang taught us – that the people who really care about you will stay by your side no matter how different you are from one another, and support you just the same whether you’re a pom-pom-wielding goody-two-shoes, a leather-touting T-Bird or a starry-eyed, pink-haired aspiring beautician who drops out of school months before graduation. 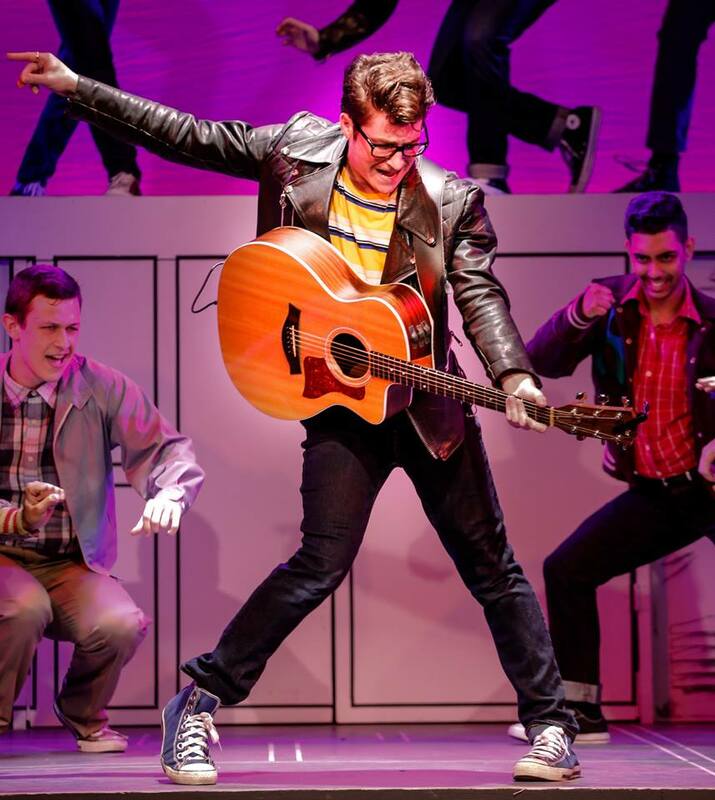 GREASE opens at the Ivoryton Playhouse on July 5 and runs through July 29, 2018. Performance times are Wednesday and Sunday matinees at 2pm. Evening performances are Wednesday and Thursday at 7:30pm, Friday and Saturday at 8pm. 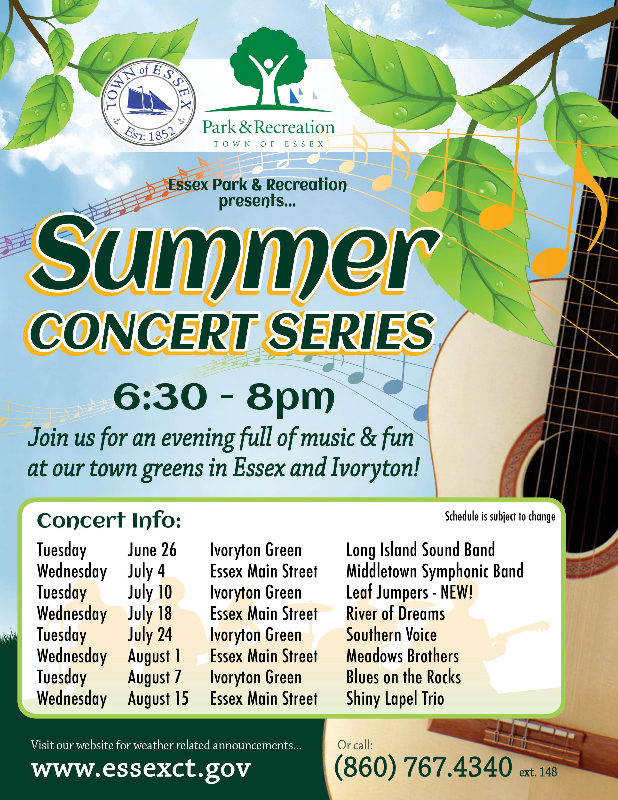 Weekly Farmer’s Market with music every Saturday and the Park & Rec Summer Concert Series – it’s all happening in Ivoryton!! Come have fun with us!! Call the box office 860.767.7318 to secure your seats or book online 24/7 by following this link. Actress Paige McNamara talks about keeping the spirit of Janis Joplin alive in one of the hardest rocking shows to take the stage at Ivoryton Playhouse. “Our job is to honor Janis and honor that energy,” McNamara says of the cast and crew at Ivoryton Playhouse. In A Night with Janis Joplin, she and co-star Francesca Ferrari take turns playing the legendary singer who changed the future of rock ‘n’ roll as one of its pioneering women. The show is a fun, fervent tribute to the life and music of Janis Joplin as well as the women who inspired her. In addition to the familiar songs of Joplin’s repertoire, the audience will enjoy captivating character appearances from Etta James, Aretha Franklin and Nina Simone. A star who burned so bright for such a short time, Janis forever left her mark on the music world with hits like “Piece of My Heart,” her cover of “Me and Bobby McGee” and many more. Spend an evening getting to know the incredible woman behind the music. The reviews are in – A NIGHT WITH JANIS JOPLIN is a hit!!! She was born on January 19, 1943 and died on October 4, 1970. Do the math – her life spanned a mere 28 years, yet she is a Rock and Roll and Blues icon whose albums have sold over 15 million copies. Her name is Janis Joplin, and she has come back to life at the Ivoryton Playhouse in an evening of sheer electricity. Given the vocal requirements of the performance, the role of Joplin is shared on alternate nights by Francesca Ferrari and Paige McNamara. On opening night, it was McNamara who took the stage. McNamara brilliantly captures Joplin’s hyperkinetic stage presence, which was fueled by drugs and alcohol. Her legs can’t stop jerking; her arms shoot up as exclamation points; her body channels the rhythm and beat of the music. There are moments when you think she might just explode out of her skin, that what she is experiencing on stage is sheer synesthesia, a mesh and merger of sight and sound that enflames her mind. Backed by eight highly talented musicians who make the rafters of the venue shake, rattle and roll, McNamara offers up bits of Joplin biography with numerous references to those artists who influenced her: Bessie Smith and Odetta (Aurianna Angelique), Etta James (Tawny Dolley), Aretha Franklin and Nina Simone (Amma Osei) and the lead Chantel, also billed as the Blues Singer (Jennifer Leigh Warren). Thus, this walk down memory lane captures much of an entire era that embraced Soul, R & B and Rock. Often, as with the number “Summertime,” we are offered the traditional version (compliments, in this case, of Osei) and then Joplin’s more kinetic cover of the number. A lot of the production has been imported – it’s a co-production – but Ivoryton has adapted what was brought in – essentially sets, blocking and lighting plot – brilliantly. This is especially true of the lighting, which was originally created by Ryan O’Gara. There are numerous cues and effects, and on opening night they seem to have come off without a hitch. Although the show was originally created, written and directed by Randy Johnson, Tyler Rhodes deserves a lot of credit for making the show “fit” the Ivoryton stage. Joplin was a unique performer, and her brash, sometimes over-the-top presentation, with a voice that often sounded like gravel being dumped from a truck, is there for all to see and hear in McNamara’s performance, including the occasional slugs from bottles of Southern Comfort (one assumes they are props). Although the evening is essentially a juke-box musical, there is a build of sorts, for the second act encompasses the haunting “Stay With Me,” as well as the iconic “Me and Bobby Mcgee” and, finally, “Mercedes Benz,” with the audience chiming in and chanting. This is somewhat unusual fare for the Playhouse, but the scheduling, based on the opening night audience, seems to have worked, for there was a cross-section of generations in the audience, all of whom responded with stand-up enthusiasm. Think of it this way: your grandfather, who has always been into music, sits you down and gives you a crash course on the music that filled his younger years, putting on LPs (that’s long-playing records, for those of you who are from the “download” generation) and playing cuts and then reminiscing. He plays “My Baby” and “Turtle Blues,” “Spirit in the Dark” and “Kozmic Blues,” and as he does you are transported back to a time when he was young and just a bit wild, and you see him in a different light, a golden (or neon) glow, if you will, that evokes a time and a place (or multiple places) when Janis Joplin was one of the voices that defined an era…and moved multitudes. 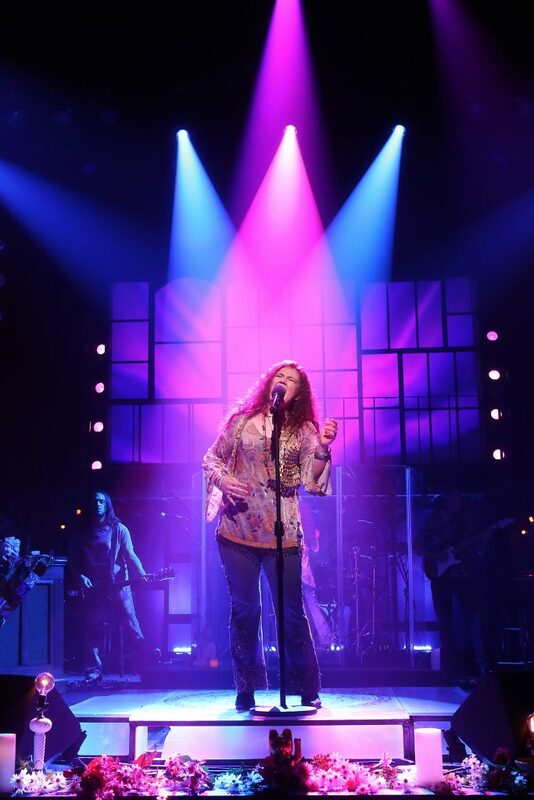 A Night With Janis Joplin” runs through June 24. 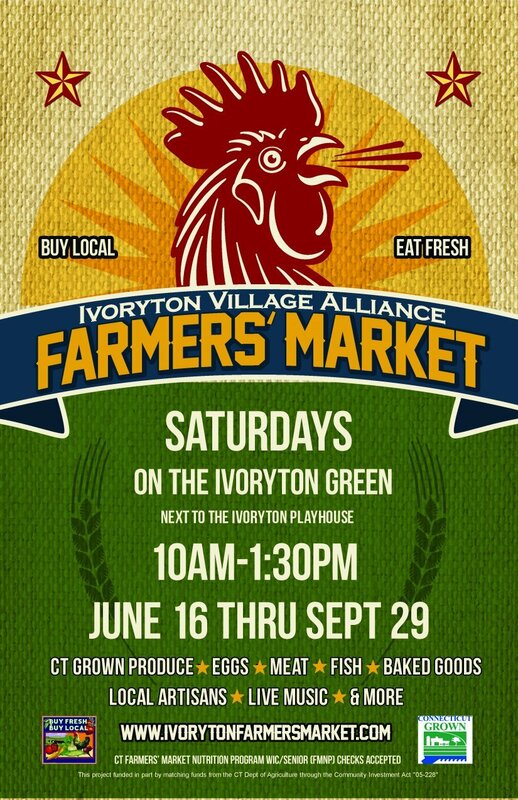 For tickets or more information call 860-767-7318 or go to www.ivorytonplayhouse.org.